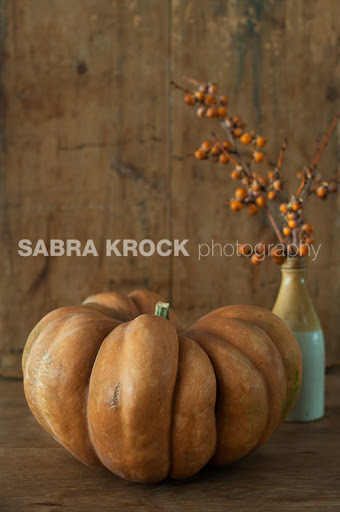 Spoonful: Mad about pumpkins - happy Halloween! Mad about pumpkins - happy Halloween! 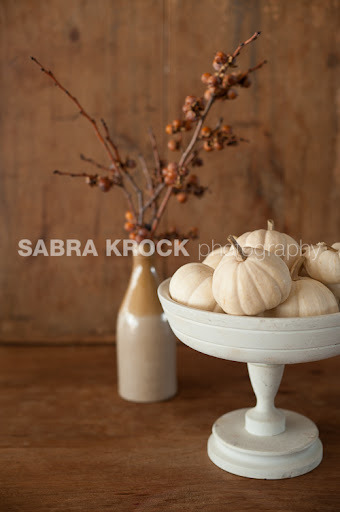 I photographed some floral arrangements for Design*Sponge's upcoming book this week. They were absolutely beautiful. Amy Merrick arranged them and she did a wonderful job. I really don't have much of a green thumb, but looking at her arrangements sent me up to the flower district to have a look around. She brought a Cinderella pumpkin (I had never heard of that variety before). It's the most beautiful pumpkin I have ever seen. As far as I'm concerned, there is no reason to buy a conventional pumpkin again! I've also been loving ghost pumpkins. They seem to be popping up everywhere. I have some out on the table now and they are definitely going to play a role in Thanksgiving decor. They are so subdued and elegant - i just love them. I found a large one in the floral district today and immediately thought of turning it into a lantern. Not a traditional jack-o'-lantern but something a little more sophisticated. I haven't gotten into Halloween festivities yet - but this seemed like just the right toe in. A knife, a drill, and a few minutes later and I had a little nod to Halloween. The best part? I now have seeds to roast. I already know just what I want to do with them - more on that later. Beautiful! And so peaceful and calming. oh stunning, love the all white the cinderella one, must be from the same line of pumpkins that took 'the' cinderella to the ball! Now, these pumpinks all look like works of art! Love the white lantern. The dotted lantern is so perfect. I spent hours doing pumpkins Friday Night. Wish I would have seen this then. You just happened to have a drill lying around with a big bit like that? Pretty handy. 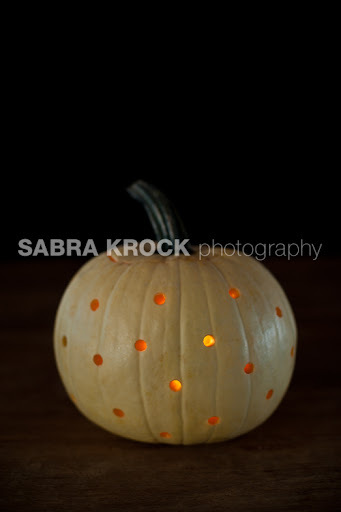 I wouldn't have realized the pumpking would give off such a nice light with those little holes. Looked great. Looking forward to getting your forthcoming info on the seeds. The only time I tried doing something from fresh ones, they molded while I was drying them. I know you'll know what to do. I can't wait to see those seeds. I've never seen such beautiful pumpkins! I wouldn't even want to eat them. 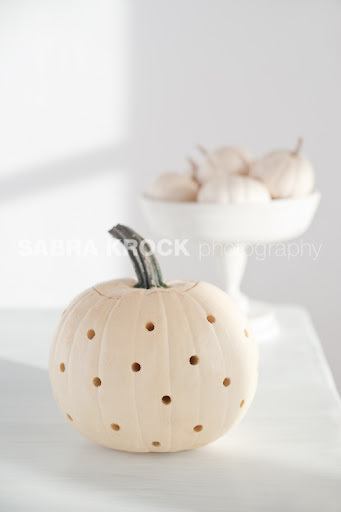 I really love the white "ghost" pumpkin!